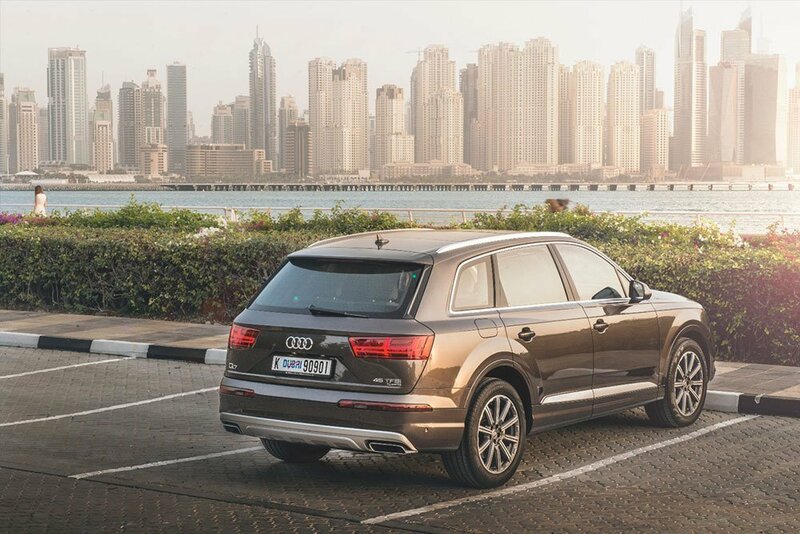 The Audi Q7 in Dubai brings agility, which earned as the “Best car Award” in year 2017. The base engine has 252 horsepower with a 2.0 liter four turbos, and a 333 horsepower liter supercharged V6 which is optional. 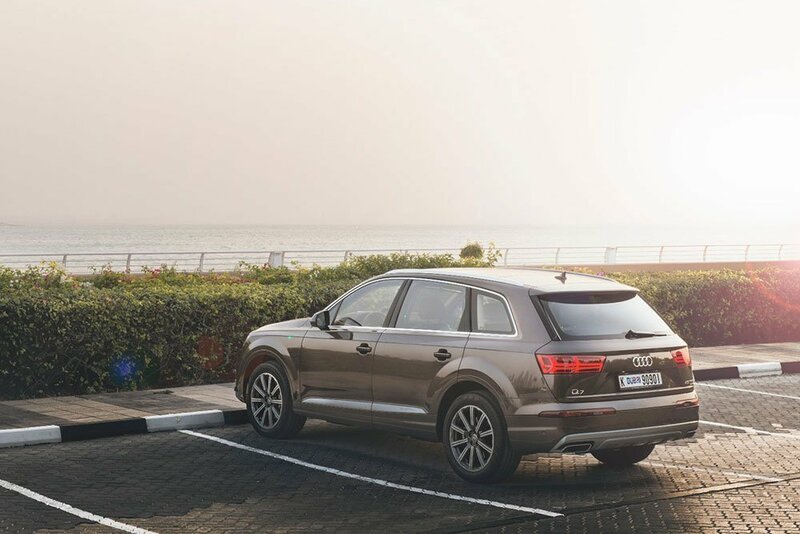 Both engines are combined with an eight-speed automatic transmission and four-wheel drive; Four-wheel steering, adaptive dampers and air suspension help the Q7 stay integrated. The high-quality interior offers the latest information and entertainment, including Apple CarPlay and Android Auto. Snarling Powered by a 6.0-liter turbodiesel with 500 HP and 738 lb-ft. of torque, the V12 TDI Q7 was literally a heavyweight of over 5,700 pounds where V12 engine it is the most expensive Audi of its time. Since then, the size of Audi has decreased slightly from this peak. The brand has withdrawn from endurance racing. Since you might have probably already looked at the panel’s specifications, you may be amazed by the 2.0-liter four-cylinder turbocharger with just 252 HP and 273 lb-ft of torque, 60 mph in 7.0 seconds in our tests, a not insignificant figure for a luxury SUV with three rows. 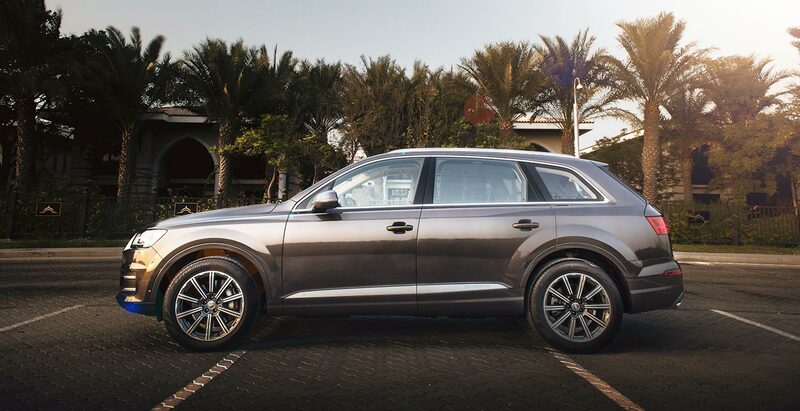 This would never have been possible without the heavy use of aluminum in the lightly-reduced body of the second-generation Q7 and redesigned suspension, resulting in a loss of several hundred pounds compared to its predecessor. 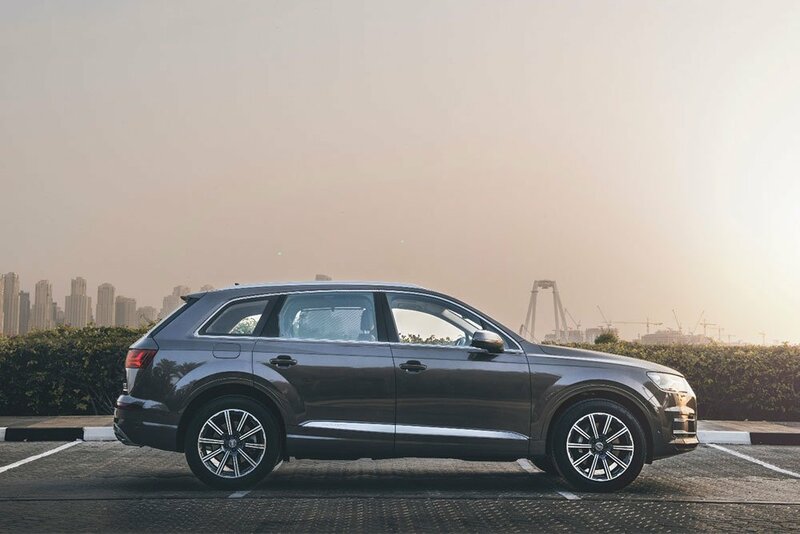 In fact, at 4776 pounds with a full tank, this Q7 weighed about half a ton less than the Q7 V12 TDI and is 309 pounds lighter than our Q7 3.0T in the long run. Hire Audi Q7 in Dubai, we strive to provide the best service in the area. At Rotana Star , we have many years of experience in the hire car field. As a result, we can bring value for money and top-notch service – guaranteed. A key reason for this is because we own our entire fleet of vehicles. This means we have more flexibility on price, unlike our competitors, who often lease their cars on a long-term basis. At Rotana Star, we make the process to Drive a Audi Q7 in Dubai for rent easy. The first step is the browse our website to find a suitable price. After this, contact us by sending in a request via our online form or by telephone. We aim to get back in touch soon after to finalize the deal. When the time comes to deliver the car, we offer two options: either pick-up the car from our Dubai showroom or take advantage of our popular door-to-door delivery service. Our premium car rental services allow you the chance to rent a Audi Q7 in Dubai or other Luxury brand cars at affordable rates. Book online or over the phone and collect your rent a car or get it delivered in Dubai.